Once upon a time, Princeton University had a beautiful copy of Moore's Oval with Points that looked a lot like this one (in Iran). 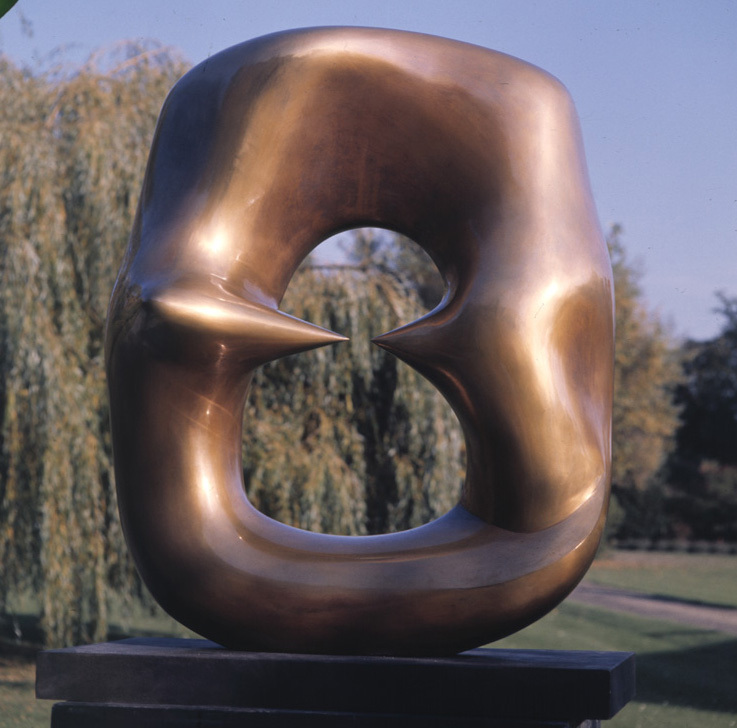 Unfortunately, the university has pretensions to great age, and it is necessary that any bronze object appear to be tarnished by eons of weathering, even if it was manufactured in the 20th century! One sad day, agents of the university, armed with blowtorches and spray bottles of cupric nitrate, sequestered the Oval from prying eyes. 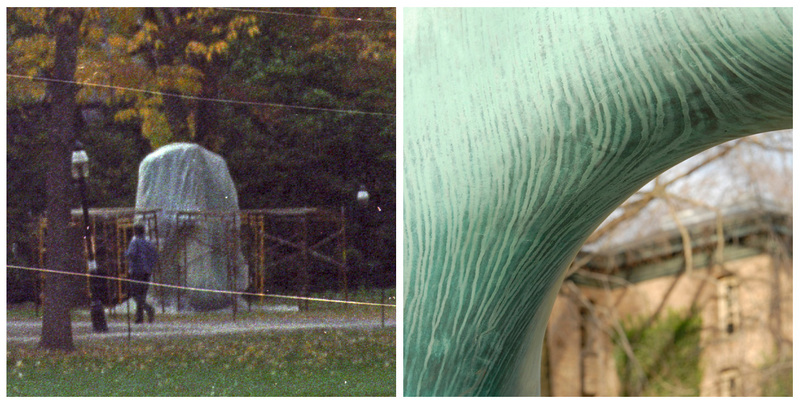 After a few days of "questioning", using techniques usually reserved for terrorists and parents with delinquent tuition payments, the pretty bronze surface had been irreparably scarred (below right). Apart from its sickly green color and uneven application, this artificial patina does not have the resistance of verdigris that has been earned by long, slow, honest, natural oxidation. For this reason, it is not uncommon to see changes in the Oval from week to week as the color leaches and must be repaired. The two pictures below were taken four days apart. Alas, such posturing is not unique to the Oval. When a statue of John Witherspoon was dragged out of a dusty warehouse to grace the Firestone Library plaza, it too seemed to have been artificially aged (below left). 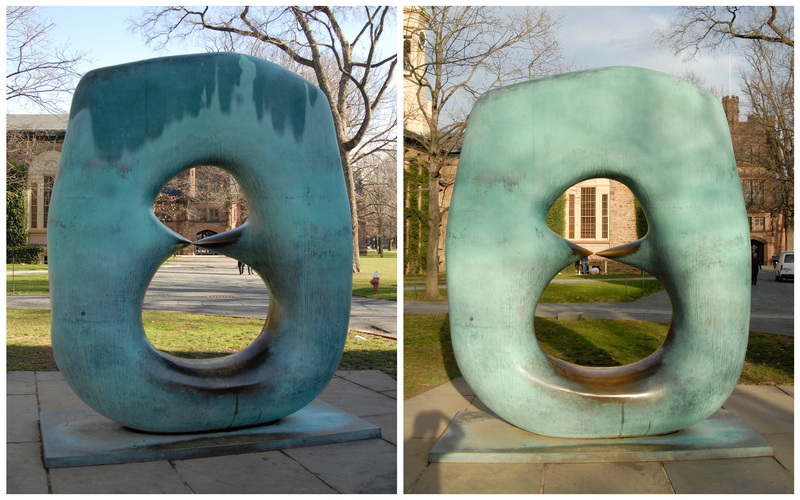 As with the Oval, the green patina soon began to drool from the bronze (below right). 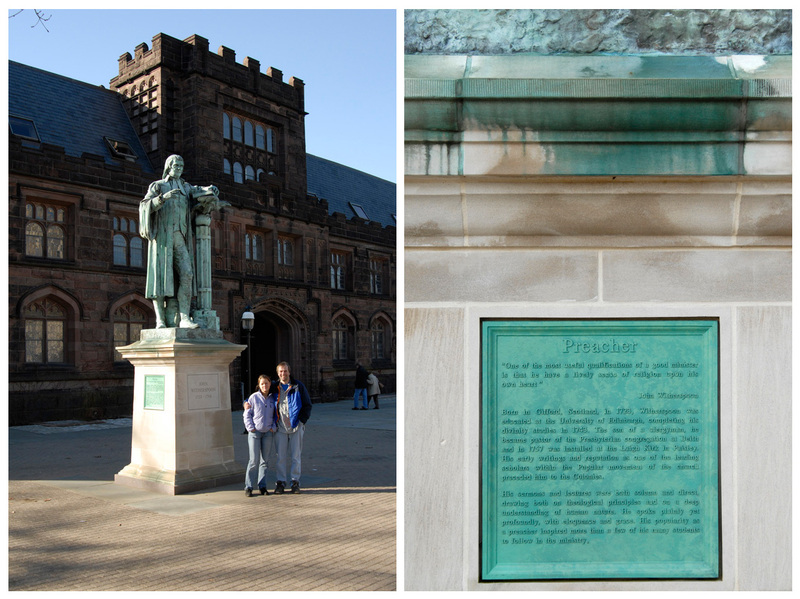 Of course, the plaque beneath the statue does not have this problem: it is painted aluminum. You can't get any more phony than that!